Disorders of any form is bad. 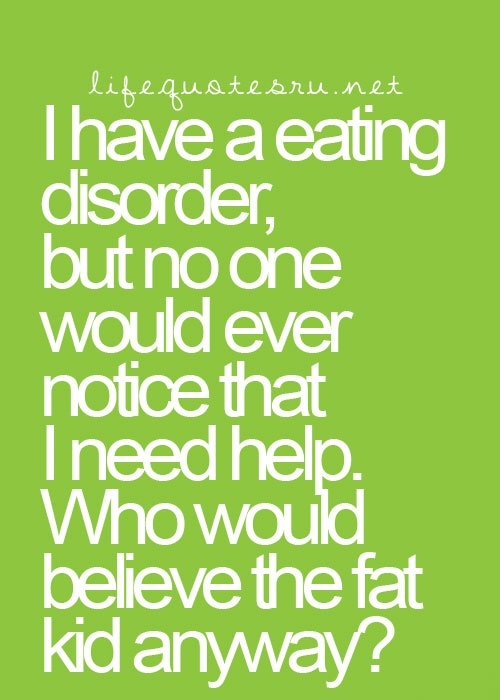 Eating disorders is something which is a major concern which I feel we need to address. Many of us do not even consider it as a problem. Sometimes the person who is going through this might not even realize it as a disorder or something that need to be changed. 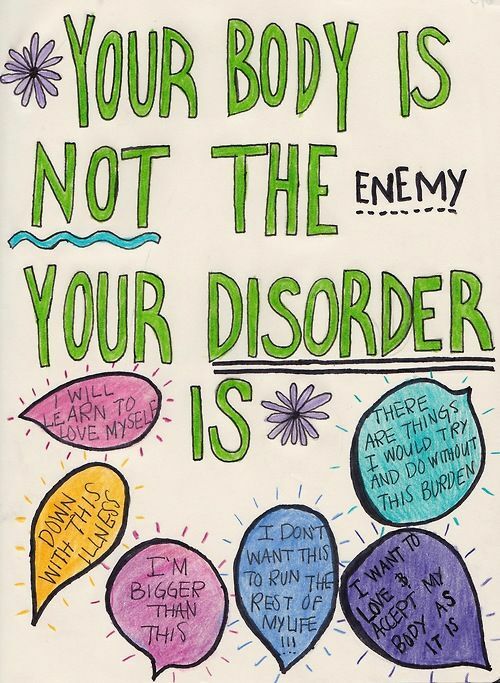 Binge Eating Disorder(BED) is something which I can relate to out of many of other eating disorders. From name itself we can understand that it is where one person has large quantity or high calorie food having no control over it. The urge to eat is so bad that sometimes we are in a trance until we are done eating. The after effects of BED is usually worse. There is a lot of guilt and because of overeating, you feel terrible and often drained out of energy. Triggers for any disorder are mostly psychological. Most rooted issue being in the society where everyone has one stereotypical perfect image especially about women by which the family invariably has immense pressure on the child as to how one should look. All through this, one does not realize how much mentally stressed it is and how this deep insecurity grows over the years with respect to food. As we grow up, there is a whole world around us who try mock us, tell us that we must be a certain size, color, shape, tell us how to behave and talk a certain way. People judge us if we eat too much or if we do not eat at all. Some observe what and how much you eat. All these are something that affect almost everyone. But there is huge population of people who have insecurities and lack confidence which impact badly and when we go off wagon or let these things impact our mind, disorders like this are bound to occur. Stress, Depression, emotional eating can also be some of the factors for BED. People suffering from BED will develop health issues in a long run. The first and most primary will be weight gain and that too very fast. And because of the weight gain, the other issues arise like rise in glucose levels, hormonal imbalance and other ailments in the body. The weight gain makes us get into crash diets which work very well for a short while but once it breaks, we lose control and binge eat again. It is like a vicious cycle. 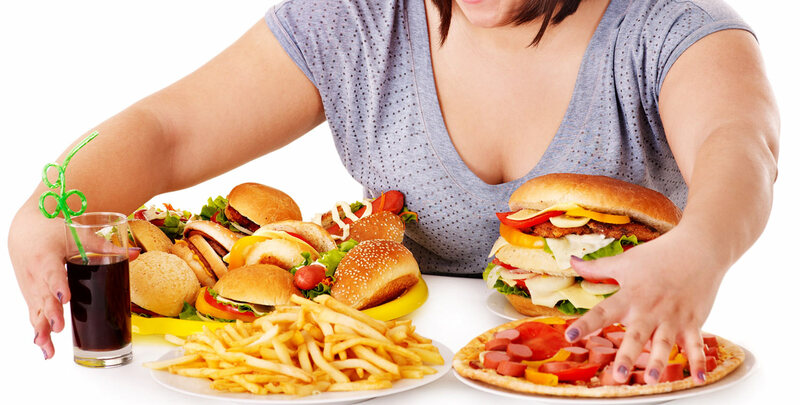 People suffering from this disorder usually cannot be on extreme diets as it will not work for them. BED is, as many are unaware is a serious mental health issue and who are going through this would not even realize it for a while. BED is not something that happens to us suddenly, it grows over years. Initially starts with having food socially and if we are overweight, then every morsel that we take is being stared at by everyone around us. That is when we start getting conscious and eat very less in front of everyone and start eating huge quantity or high calorie when we are alone. Like any other addiction, even this gets to us. Sometimes, we just eat and do not even enjoy or realize the taste of the food we are having in that moment. There comes a time when we realize that what we are doing is not right. The way we are eating is not normal. The binge is suppressing the stress, emotion or anxiety for little while and then they are back. The other worse part of this disorder is you binge and right after the binge, you have a deep regret as to why you had so many calories or so much food. But now its late you have done damage, you make up your mind that you will eat healthy starting tomorrow, but rarely will that happen as you we are sure on how to tackle the disorder. So, once we realize about the disorder, first thing is to understand what situations that triggers an urge to binge. Take some time at that moment, think what is bothering you mentally- is it stress, loneliness, anxiety. Try to divert yourself by taking a short walk, few deep breathes, do something which takes your mind away from Binge. Admit you have a problem! Understand what is triggering the disorder. One important thing people with disorder have to understand is the extreme diets, eliminating/ avoiding foods just so you can lose weight; all these will not help us in a long run. We need to have a balanced diet, have in moderation for us suppress our urge. For us to get mentally strong, we need to develop habits that we can look towards when we fall weak. One needs to realize that we cannot reverse the disorder instantly, it will take time and you have to be patient enough to go through it. Make your mind believe that you can get over it and you will not need food to deal with issues in life. A perfect figure or shape, human being with no flaws or insecurity is a myth and does not exist. Everyone who lives and breathes has their fair share of problems, yes some may have more or less but also the strength to deal with them. All I say is we all are strong and beautiful the way we are. Often in difficult times when we feel weak, we must remember that we have the will power to be more strong and focused. Do not let anyone define who, what and how you must be. Make sure you have your own goals, desires, perception about yourself. If anyone ever tries to take you down or in any way big or small make you feel as you are not worth it, we do not need such kind of negative energy around or in our life. Sometimes we have our close friends or family who push you to be a certain way. If that something you do not want to be then you don’t have to be. We all need to be happy, and health plays a prominent role in our happiness. Do not let all these triggers affect your health. Take charge of your health, your mind, your happiness. Do what makes you happy. Do not complain, compare or compromise. Hope is stronger than fear; You are always and always stronger than you think you are. Thank you for this informative blog! I have a doubt though. I tend to eat more frequently during the night but I am at a healthy weight. Trust me I can’t stop eating during nights. Does that mean I have BED ? I don’t think so Harshinee… I know most of us do eat at night…but as long as we do not eat huge quantity or high calorie at a regular basis…it is not BED..
Is BED similar to overeating?? I don’t think so vishnupriya…BED is a issue where we shove down huge amounts of bad food..even though we know it is not good for health….and it is often psychological..
Good one!! But i think it is all in ur mind.. The more you feel you may have disorder the more worse it gets.. I think eating Or either binge eating is all in ur mind.. i agree with what u said if u have urge or craving satisfy with little amount.. i can relate this to myself i was on 2 months salad fast as soon as i got pregnant more than my cravings my mind was telling me that i can eat anything that i want to.. and even though i want i cant stop until i really make up my mind!! Yes, there are percentage of people who have cravings and want to eat a bit…and they can maintain that. But if you look at the figures and percentages of BED or for that matter any eating disorder, it is alarming. That is why they say it is a mental health issue and is not normal like it is for everyone. This is a great post! thank you for sharing.. I have always struggled with my weight and eating. Thank you for reading it. I have been through the same struggle. So I can understand. It’s a constant battle, isn’t it?! 😊Have a wonderful Sunday! Omg thank you for resharing this! I have saved it on my phone now! For me, I had my still have I dunno ednos. I’m not motivated by weight loss or gain.. But my body just suffers from my fucked up eating habits and patterns. And you can see the visible effects of my eating habits very clearly. Right now it’s almost like I am sunken in my skin… But.. I’m not always hungry. And when I am I am ravenous. I don’t purge. I eat till I have had my fill. Which may be a sparrows amount of food, or a smorgasbord feast of delicacies all the noms all the time. And.. fuuuccckk. My body is so fucked. 18 months ago I was diagnosed with type 1 diabetes. And I’m just like… WTF. Great post. I have had hypothyroidism for many years which has caused weight gain. I recently had my total throid gland removed due to an enlarged goitre and also papillary thyroid cancer. I am now living without a thyroid which is also a trigger for weight gain. I am going to try and find a dietician and plan a healthy program for me. Thank you. I am glad if the post helped you in any small way possible. More power to you .. Thank you so much…coming from a doctor…makes me feel the approach is right..